The timeless appeal of emerald can be summed up in three words written in the year 50 AD: “Nothing greens greener.” Roman historian Pliny the Elder was explaining the desire for the supreme green gem not only in Rome but throughout the ancient world. Cleopatra, Egypt's tempestuous female monarch, was as famous for wearing emeralds in her time as Liz Taylor, the actress who played her in a 1969 movie, is for wearing diamonds in ours. Mummies in ancient Egypt were often buried with an emerald on their necks carved with the symbol for verdure, flourishing greenness, to symbolize eternal youth. Islamic texts describe the Garden of Paradise as carpeted with emerald. The Moguls of India, including Shah Jahan, the builder of the Taj Mahal, loved emeralds so much they inscribed them with sacred text and wore them as talismans. Some of these sacred stones, called Mogul emeralds, can still be seen in museums and collections today. The Incas had an emerald goddess, a fabulous emerald the size of an ostrich egg. In tribute they sacrificed her children: smaller emeralds that were presented to the goddess. The emeralds the ancients adored, from mines in Egypt and perhaps what is now Afghanistan, were nowhere near as beautiful as those mined today. The modern emerald bounty began almost five centuries ago when Spanish explorers arrived in the new world. Montezuma presented Cortes with a staggering emerald crystal much larger and finer than any ever seen before. The Spaniards spent years searching for the source of the fantastic green gems. They found it finally in what is today Colombia. In our century, several more emerald El Dorados have been discovered. While Colombia is still the world's largest and most famous emerald-producing country, Brazil and Zambia have emerged as major sources for this gem. As could be expected, emeralds from each of these countries possess their own distinctive characteristics. If you are buying mainly or solely for color, Colombian stones have the highest reputation. However, the finest Brazilian stones rival those of Colombia for color. If clarity is your primary concern, Zambian stones are renowned for their crystalline appearance and have a rich, robust green to boot. 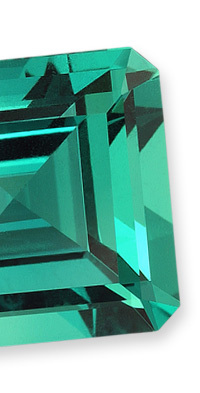 Emerald is most often cut in a rectangular step-cut, which is now popularly known as the emerald cut. Smaller sizes are also found in rounds, ovals, pear shapes and marquise cuts. You may have to look a while for an unusual shape in a larger size. Due to their rich color, emeralds are also spectacular when cut in a smooth-domed cabochon cut. Emeralds, among the rarest of gems, are almost always found with birthmarks, known as inclusions. S ome inclusions are expected and do not detract from the value of the stone as much as with other gemstones. However, you should look to make sure that fissures do not go too deep into the stone so that it might be weakened enough to break if it were hit accidentally. The fissures that are characteristic of emerald are traditionally filled with oil or resin to make them less visible to the eye. You should assume that your emerald has been improved in this way unless it has a laboratory certificate indicating otherwise: such rare stones command a considerable premium. Gemologists can detect the presence of fillers when a stone is examined under a microscope. But it's nearly impossible to identify the agent without the aid of very expensive equipment that only a handful of labs in the world can afford. For this reason, most gem labs note that an emerald has been enhanced, but can't say with what medium. Nevertheless, the trade generally divides enhancement agents into two categories: natural and man-made. Understandably, many dealers dislike the idea of using a man-made substance to beautify a natural gem. Since emeralds have such a long and rich tradition of connoisseurship, these dealers feel that only traditional substances should be used: natural oils and resins such as Canada balsam or cedarwood oil. 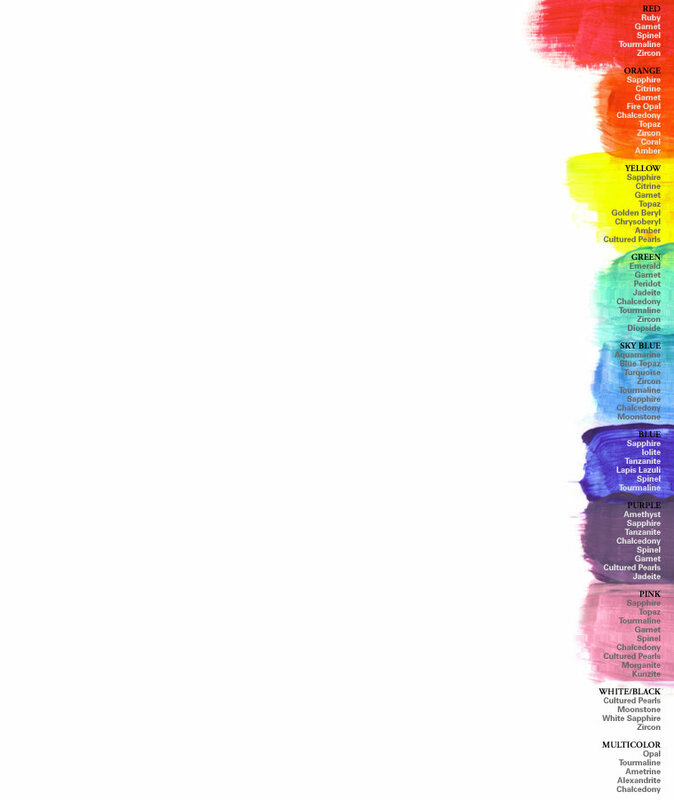 However, these natural oils, over time, dehydrate or leak out. That's why most in the trade now rely on longer-lasting man-made substances like epoxy resins for emerald face lifts. No matter which substance is used, the end result is the same: less obvious inclusions, and more life in your emerald. Avoid cleaning emerald with hot soapy water or steam and never clean an emerald in an ultrasonic cleaner because the oil or resin could be removed or damaged, making fissures more visible. Emeralds are durable gemstones with a hardness of 7.5 to 8. However, emeralds with many inclusions should be treated with some care and be protected from blows. Clean emerald with mild dish soap: use a toothbrush to scrub behind the stone where dust can collect.